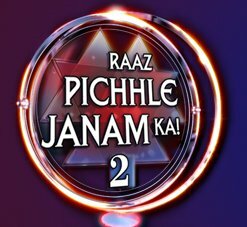 After an overwhelming response to the first season of the show, NDTV Imagine is now back with the second season of the extremely popular show, Raaz Picchle Janam Ka! Therapist Dr Trupti Jain and host Ravi Kissan once again will give goose bumps to the audience. 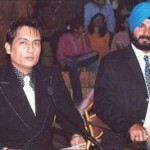 Rajesh Khanna, Preity Zinta, cricketer Harbhajan Singh, comedian Raju Shrivastav and others will be seen on the show this season. The show is all set to find out what avatar the actors were in, in their last birth. I am very much interested in Rajesh Khanna’s past life! Jhalak Dikhhla Jaa 2 – Sudha Out and Mika still IN! i have always lost the one’s i loved, either to a misunderstanding or death. i am a loner. i am afraid for my children’s life now. i can’t come in the show as my children need me and i can’t leave them alone. can you please advise me via mail. i have written my janam naam as i can’t afford for others to know me through my mail. hello mam. . dis is Chandni. . i have a problem dat i always have to lose dat prsn whom i love mst. n i find my life so painful when i lost smone. there is just lnlyless in my life. smtms m so happy as m the hpiest prsn in d world bt as dat moment passed m just wid my lnlyness. 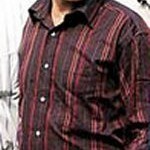 Hi, ds is vivek jaiswal 4m kolkata . i wuld lyk 2 kno abt ma past . plzz gv m a chanc 2 b on d show. mai apni pichhli life k baare me jan na chahti hu.muje pyar nahi os insan ka jisse mai pyar karti hu.kyu k mai jis kisi se bhi pyar karti hu wo muje chod k chala jata hai mai ye jan na chahti hu k aisa kyu hota hai mere sath. however in our religion there is no description about re- birth .so i am a firm followers of my religion.and based our religion i can’t believe in re-birth..
i just want to ask u that is this show is real or fictitious? i wanted to know reality of this show .please reply me in shortly..